First, we used to export many things by default, that is, we included too many things in our output that you might use. We recently focused on changing the defaults to something more reasonable. Things actually weren’t quite so bad before, as we did consider some connections between the two domains — enough to do a decent job for larger programs (e.g., we only include necessary JS library code, so you don’t get WebGL support if you don’t need it). But we failed to remove core runtime components when you didn’t use them, which is very noticeable in smaller programs. C hello world uses printf, which is implemented in libc (musl in Emscripten). printf uses libc streams code that is generic enough to handle not just printing to the console but also arbitrary devices like files, and it implements buffering and error handling, etc. It’s unreasonable to expect an optimizer to remove all that complexity — really, the issue is that if we want to just print to the console then we should use a simpler API than printf. 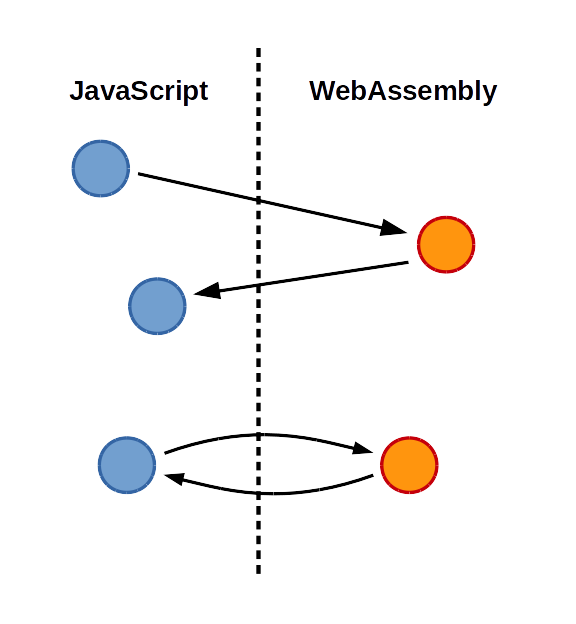 The WebAssembly loading code supports a bunch of options like using streaming if available. Hooks are provided to let you run code at various points in the program’s execution (just before main(), for example). These are useful since WebAssembly startup is asynchronous. All those are fairly important so it’s hard to just remove them. But in the future perhaps those could be made optional, and maybe we can find ways to do them in less code. Ongoing wasm shrinking work is happening in the Binaryen optimizer. Amazing! Looking forward to try out the new changes. GCC has optimizations that replace printf calls with no format specifiers with calls to puts. Could enscripten/binaryen do the same optimization, and then optimize puts? Yes, good point, for printf() clang will optimize it to puts() for a constant string, and that’s taken into account in the numbers here. puts() does avoid the formatting overhead, but internally in musl (and probably other libcs) it does still use streams, with all the indirection and buffering etc. overhead. edit: and yes, we could try to optimize puts into something simpler, but it would need to take into account that buffering etc., so it’s not easy.